Findings: This paper submits that grains, and foodstuff s made from grains, are necessary nutrition for complete health, based upon ethics in religion, tradition and culture. For example, a condition known as ergotism linked to bacteria found in grains, causes damage to fingers, toes and extremities, and is known to incubate during winter months through vasodilation. Reference to this paper should be made as follows: Ansari, A. (2015) ‘Sustainable healthy behaviours: Ergot and Nutrition’, Int. J. 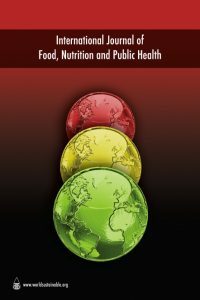 Food, Nutrition and Public Health, Vol, 7, No. 2, pp.91–100.